Entrepreneur and Make-Up Brand Owner Uzma Yakoob, 32, from London became the fourth candidate to leave The Apprentice Series 9 after she was fired by Lord Sugar in Episode 4. The teams were challenged to set up a farm shop and Uzma again ended on the losing team for the fourth week in a row. It was Uzma’s third visit to the boardroom and her luck ran out. 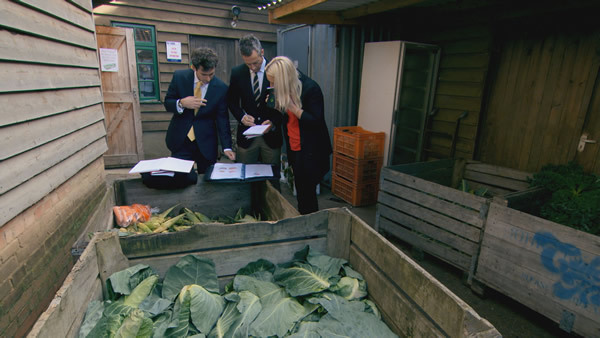 As part of this week’s task the candidates swapped their city clothes for wellington boots as they searched the South East for stock for a farm shop to be set up in East London. Lord Sugar decided to shuffle the pack by mixing the teams. Uzma and Natalie were moved to team Endeavour whilst Jordan, Jason and Myles were moved to Evolve. Luisa Zissman put herself forward as project manager for Evolve and Neil Clough volunteered to lead Endeavour. Team Evolve wanted to be different and chose a Buffalo meat theme to the shop. It was a big gamble as the Buffalo stock was expensive and they would need to be sure of selling it. Team Endeavour went for a premium milk offer complimented by milkshakes. The team’s each split into two to hunt down produce and shoot some publicity shots. Alex and Neil tried their hand at milking before buying 100 litres of premium Jersey milk. Luisa Zissman decided to allocate only £40 of spend to the sub-team buying vegetables. Hardly enough to buy anything. Luisa wanted to keep more money for take-away products. Francesca made and won the argument that the budget needed to be increased to £150. It was good that she did as later events emerged. Strangely on the other team Kurt Wilson tried to avoid buying much stock at all other than material for milkshakes. It wasn’t a total surprise as his business idea was around health drinks. He spent £33 on vegetables including 3 or 4 cabbages. Not much of a farm shop. More of a milkshake shop. Neil at least made Kurt commit to selling 200 milkshakes. The Evolve team at Buffalocal went big on takeaway soup and baked potatoes as well as Buffalo meat. The hot potatoes were not selling like hot cakes. In fact they were not selling at all. As lunchtime approached business did pick up but a garnd total of 20 baked potatoes were sold against a target of 150. Jason did not seem to be able to cope in the kitchen despite the slow sales. This lack of sales meant the take-away strategy had to be abandoned and a plan B, selling the veg, was adopted. Meanwhile at Endeavour’s Fruity Cow, Kurt’s milkshakes were going well so he went out shopping for other fruits juices to combine with apple and pears to make smoothies. Neil complained that Uzma was struggling to sell to anyone. The farm shops closed at 6pm. The next day, when the teams assembled to hear the results it was a victory for Team Evolve by just under £100. It was a deserved team victory – the sub-team stopped Luisa from making an error on the vegetable buying. Team Evolve made sales of £1,249.52 with costs of £618.00 giving a profit of £631.52. Team Endeavour made sales of £1,097.82 with costs of £558.15 giving a profit of £539.67. Winning team Evolve went off to the Tram Shed to be cooked a meal by a top chef. Meanwhile Endeavour had to analyse their loss. Neil Clough brought Uzma Yakoob and Kurt Wilson back into the boardroom. Neil thought Uzma was the weakest member of his team. It was Uzma’s third time in the boardroom in four weeks and she was on shaky ground. Kurt was vulnerable as he had over-promised and under-delivered on his milkshakes. The promised sales of 200 units were not achieved with Kurt falling short by 70 units. 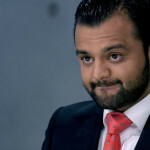 After some debate, it was Uzma Yakoob that was fired as Lord Sugar said “there’s no smoke without fire” on the criticism of Uzma’s lack of contribution on tasks. Uzma was probably pushing her luck with her third boardroom visit in four weeks. So twelve candidates remain and Lord Sugar’s search for his business partner continues.